Welcome to the STAEDTLER and Stampendous Design Teams combined hop! This week design team members from both STAEDTLER and Stampendous are sharing projects created with products from both companies. Today, I'm sharing one of the projects I created, and will be sharing another project on Friday, May 24th. Along with the projects shared by the STAEDTLER designers, each designer is giving away a Sweet Summer prize package! Stampendous will be giving away a prize every day! Stampendous will randomly choose a winner from one of the comments left on the designers who are participating on that given day. Continue reading below to see how you can enter to win! To create the background for my card and butterfly, I used the Gelli Arts Plate and STAEDTLER Mars Grapic Markers. I began by applying a thin layer of Gesso to my card stock, as I wanted a bit of texture on my paper, and I wanted to float the Marker colors, instead of having them absorb into my card stock. Once the Background panel was dry, I cut the panel to size, saving the scrap piece for the butterfly. On the layer panel, I embossed the flourish from the Jumbo Peruvian Lily from Stampendous, with Aged Teal Embossing Enamel. The edges of the card are also embossed with same Embossing Enamel. I embossed the word "dream" using the Vintage Lowercase alphabet, and the smallest butterfly from the Jumbo Butterfly Trio in Vintage Mahogany Embossing Tinsel. To add a little more interest to the background, I used the Embossing with Stencils Technique from Club CR8, and embossed the Roman Letters using the Golden Sand Embossing Powder. The embossed butterfly was cut out, sponged and popped on dimensionals over the embossed background. I layered the stamped/embossed panel onto a White panel, then embossed the edges with Vintage Mahogany Embossing Tinsel. Then layered onto a Cameo base card. 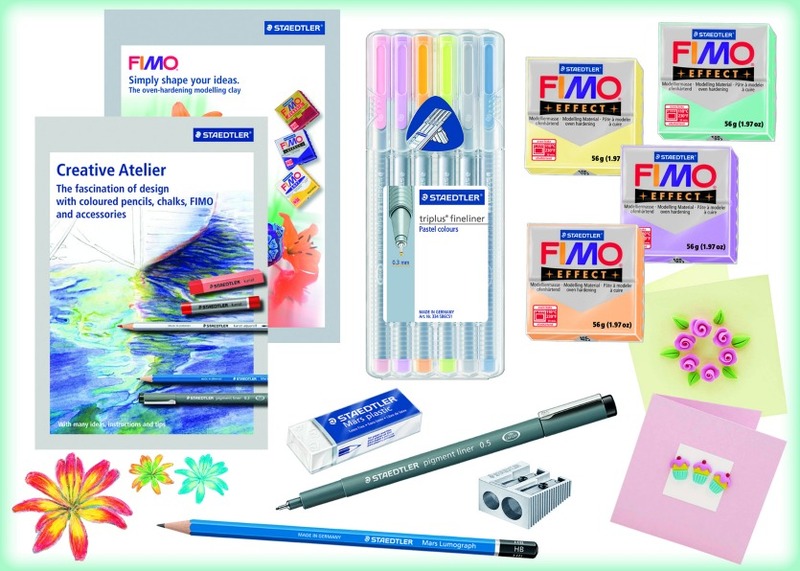 As I mentioned above, each STAEDTLER designer is giving away this fabulous Sweet Summer prize package shown below! To be eligible to win, please leave a comment on this blog post by Wednesday, May 29, 2013, 11:59pm CDT. I'll use the Random Number generator to select a winner, and will post the winner here on my blog on Friday, May 31st, so be sure to check back to see if you've won! 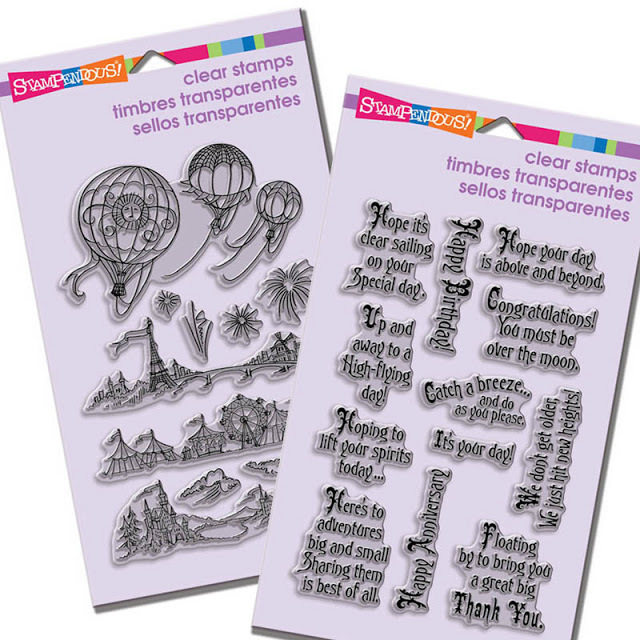 Don't forget - Stampendous will be giving away a prize every day to one lucky winner! The winner will be chosen from comments left on the participating designers blogs for that day. Thanks so much for stopping by, I'll be back on Friday with another STAEDTLER/Stampendous project. Be sure to check the Stampendous Blog each day this week for links to the participating blogs. Amazing! Wow, look at the splashes of color, how beautiful!! Lisa again you are the best. Your techniques are spot on. This is gorgeous and definitely one of my favorite projects of yours to date!!! Great job Lisa!! I love the colours and techniques in the card! Absolutely gorgeous!! Oh my goodness. I didn't realize that there were so many layers to your card until I started reading. Some of the techniques I haven't seen before so I was surprised to read about them. Your card is just gorgeous! Thanks for sharing. UH MAY ZING ! ! ! LOVE LOVE LOVE this card! The bold colors, the beautiful butterfly and the simple yet eloquent "DREAM". Perfectomundo! TFS! WOW!Beautiful card!! !Very colorful,this is great!!! Love the card - especially the background! Thanks for the tag on FB :) Shared your post on our FB page, tweeted it and pinned it! Yay! I love giveaways! Thanks for the opportunity to win! Oh my goodness.. What an amazing stunning, gorgeous card!! Love the techniques you used that makes this a fabulous artsy creation. The colors blend beautifully..gorgeous card!! Lisa, this is just dreamy! Love your super texture and mixed media madness! Wow... Thanks so much for playing with our products in this hop! Lisa, thanks for posting your beautiful card; now I know where to use my gelli prints. Your card is gorgeous!! 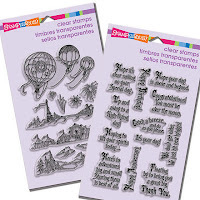 Thanks also to Stampendous for a chance to win the stamps. What a vibrant creation. Thanks so much for all the details and a chance to win. Amazing card!!! Love the colors and thanks for sharing how to do this! Thanks for sharing. Very beautiful and motivating. You are so talented! The background makes this card look like a very expensive piece of artwork. Actually looks like it's on canvas, which with the gesso I'm hoping that was what you were after. Wow, what masterpiece! lovely background color which makes the butterfly so outstanding, it is beautiful. What a sensational card - fabulous background! Absolutely gorgeous! I love the big butterfly and strong sentiment. Always been a big fan of Staedtler! Beautiful card !! Love the colors .. Such a pretty project, I love butterflies and the colors are amazing! This is such a beautiful card and it looks like a journal page as well. Love that and the beautiful coloring techniques! Striking card! Love the background and the butterfly is beautiful! Love it! I want to try this technique. Fabulous! Those colors are so rich and vibrant! What a great effect you achieved with these products...very pretty. Love this! You do such a beautiful job of using all those elements to create something beautiful! Gorgeous card! I want to learn more about how you did this technique! Very colorful--I like the techniques you used. Takes using colored pencils to a new level that I never would have thought of!! I have used colored pencils for 20 years but never had those great results! Wonderful card! So inspiring! This is unusual and very, very striking. Beautiful job. Beautiful piece, so many layers! Butterflies always grab my attention. I really like the beautiful layers and your gesso idea to make the markers "float"! I need to try the Staedtler Mars Graphic Markers! I have other Staedtler markers, but obviously I need these too! This looks like a superfun mixed media card! Thanks for the post. There is just so much beautiful texture on this card, the background looks amazing! Gorgeous card... can't pick out just one thing I like about it because every element is perfect. Gorgeous background you made! I'd like to check out the markers you used on the gelli plate cause Ive never used any markers on my gelli. Wow, that background is gorgeous!!!! Lovely card! Those bold colors are amazing! Loving your Gorgeous colors on that BG! Just fabulous!!! What an interesting background, it really made the stamping pop. I love it! Awesome card... awesome giveaway! Thank you! Outstanding! The vibrant colors used just added to the depth and beauty of the card. Thanks for sharing. Beautiful card.I love the embossed butterly.